The petition, filed by social activist Medha Patkar and others, has claimed amendments made by these states. 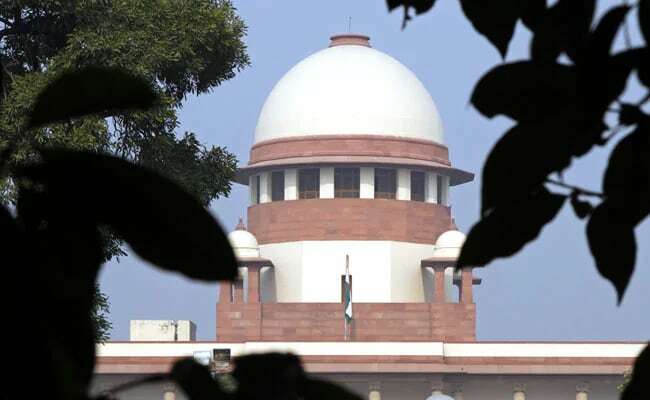 The Supreme Court Monday issued notices to five states seeking their responses on a plea challenging the validity of certain amendments made by them to a central law of 2013 on land acquisition. A bench comprising Justices Madan B Lokur and Deepak Gupta agreed to hear the plea which has sought to struck down the alleged "contradictory amendments" made by Gujarat, Andhra Pradesh, Telengana, Tamil Nadu and Jharkhand in the Right to Fair Compensation and Transparency in Land Acquisition, Rehabilitation and Resettlement Act, 2013. The petition, filed by social activist Medha Patkar and others, has claimed amendments made by these states have "adversely affected the rights of livelihood of land owners and farmers". It also alleged that the state amendments were violative of constitutional rights of citizens as key aspects like consent provisions, social impact assessment, participation of representative local bodies in acquisition of land have been exempted. Advocate Prashant Bhushan, appearing for the petitioners, told the bench that the "whole essence" of the Act was to ensure consultation with public in the process of acquisition of land but the amendments made by these states have exempted these important aspects. The bench told Bhushan that "under the law, state amendments can be made. If state legislature decides that they want to do this, we cannot say you cannot do this". Bhushan said after the central government came into power in 2014, it brought in amendment to the 2013 Act but it was not passed in Parliament. He said Ordinance was also brought in which eventually lapsed on August 31, 2015. "After having failed to pass the amendment in Parliament, they asked the states to use this amendment," he claimed. Referring to amendments made in the central Act and Rules by these states, he said virtually all projects like industrial corridors, expressways, highways were exempted from consent provisions, social impact assessment, expert appraisal processes, public hearing, objections and provisions to safeguard food security. "All these provisions were termed as core spirit of the central Act 2013 and Central Rules 2014. Further to this, the amendments making collector a sole authority to make enquiry to their satisfaction is to suppress people's voices and extending widespread corruption in upcoming cases," the plea has said. During the hearing, the bench asked the petitioners why they have not approached the respective high courts in the matter. Responding to the court's query, Bhushan said they have approached the top court since amendments have been made in the 2013 Act by several states in the country. He said Article 21 of the Constitution deals with protection of life and personal liberty and right to live with dignity includes the right of not to be displaced unless there was a larger public interest involved. "The said amendments made by the state Acts also diluted the provision for return of unutilised land. The central act (of 2013) had a provision to return unutilised land to the people when if it remained unutilised for more than five years. It also had provision for fresh award if the compensation to majority of affected people not paid after declaration of award," the plea said. The plea also claimed that as per the central Act, 70 per cent consent of land owners was necessary for Public Private Participation (PPP) projects but the state amendments have removed the consent clause.